Contrary to speculations that the Nigerian National Petroleum Corporation (NNPC) deliberately inflates consumption figures of the Premium Motor Spirit (PMS) also known as petrol to facilitate deduction of undue petrol cost (under-recovery) from domestic crude cost, the increase in smuggling of the product to neighbouring countries may be at the heart of it. Long queues have been reported in filling stations in Ilorin, Port Harcourt and a few other states due to panic buying sparked by rumours of a looming fuel scarcity and likely hike in price of petrol. 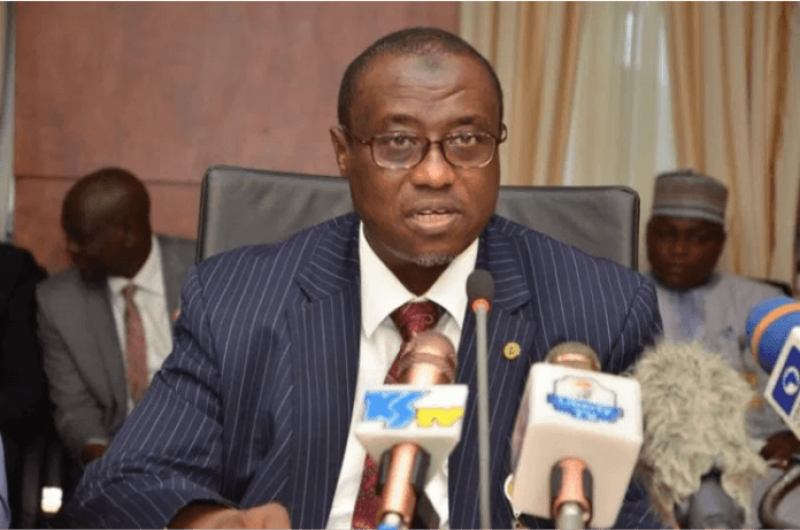 Group Managing Director of the NNPC, Maikanti Baru, on Thursday at the 30th Enugu International Trade Fair debunked the rumour saying there was no truth to the speculation. He said NNPC had enough fuel reserve and cautioned depot owners against selling petrol above the official ex-depot price of N133.28K per litre and that consumer price remains N145 per litre. However, the difficulty involved in getting exact daily petrol consumption figure has been attributed to the rise in smuggling activities across Nigeria’s borders. A top official of the Nigerian Immigration Service who wants anonymity, told THE WHISTLER that unless the country finds a way to deal with cross-border sale of petrol, it may be impossible for the NNPC to get accurate data on petrol consumption in the country. Daily petrol consumption appears to be oscillating between 40 -54 million litres. But the NNPC had given the daily average figure over a month period as between 50-54 million litres as against the 80 million figures being speculated. However, a senior manager in NNPC disclosed to THE WHISTLER that evacuation from fuel depots could reach 80 million litres on some days but pointed out that this is different from daily consumption figure. But the unstable fuel figures had led to disagreement with the Nigerian Governors’ Forum (NGF) over how much is due to the Corporation as petrol cost and has further made fuel subsidy claims more controversial. Smuggling of petrol into neighbouring countries especially Chad, Niger and Cameroon may be the factor behind recent speculation of scarcity and likely hike in petrol price. Recently, a former Comptroller-General of Customs and Gbong Gwom Jos, HRH Buba Jacob Gyang, said smuggling of petrol into these countries is a major challenge for Nigeria. “One significant challenge is the fact that we have cross-border smuggling. Nigeria remains the cheapest source of PMS in the West African sub-region. All our neighbouring countries are selling at over 200 per litre .Many people in our neighboring countries – Niger, Chad and Cameroon are living on products from Nigeria. “For instance, in Bama in Maiduguri, there are over 500 petroleum tankers loading daily to cross over to Cameroon. In fact, there is an underground tunnel through which Petroleum products are siphoned to Cameroon,” he revealed. NNPC’s Chief Operating Officer, Downstream, Henry Obih, who spoke recently at the Nigerian Oil and Gas Conference and Exhibition in Abuja, also weighed in on the issue. He said consumption pattern of petrol among Nigerians contributed to reasons why the Corporation could not ascertain the level of consumption. He revealed that the National Economic Council (NEC) had mandated the state-oil-firm to work with the Ministry of Finance, as well as the World Bank, to determine the exact daily consumption. But the NNPC is not taking issues lightly as it had intensified checks on vessel arrivals and discharges into depots in a bid to stop illegal diversion of the product.